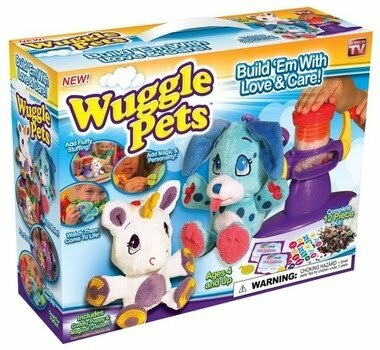 Wuggle Pets are winning the hearts of children and parents alike. Kids can create, personalize, collect and trade their Wuggle Pets to their hearts content. There are eight Wuggles to collect, each pet comes with a birth certificate, magic dust, personality charms, the zipper tool and fluffy softness, and, each order includes one fun filled factory to bring your Wuggle Pets to life. For birthdays, holidays or any other fun events the party pack, offering the full collection of Wuggle Pets offers the best value for the parents and kids. Alternatively a starter kit is a great idea for those beginning their collections. The kit includes one fun filled factory, a Cuddle Puppy, with all the accessories, and you can even make Wuggle Pets talk with an optional voice box. With these toys there truly is no limit to where your kids imagination can take them.